An online website builder, also known as a website builder, an online CMS or a web builder, is a special kind of content management system (CMS). While traditional content management systems were designed to administer large websites, online website builders were designed with smaller website projects in mind. This means the user doesn’t require any special programming skills or other technical knowledge, such as knowing how to install a CMS, apply a template or create a database. It’s possible to create a fully functional web presence with an online website builder. Updating your website’s text or adding new articles, images or multimedia content such as video or audio, is also easy via a user-friendly interface. Modern online website builders follow the key CMS principle of maintaining strict separation between content and design. 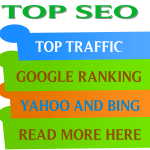 The advantage of this is that websites designed in this way are more easily indexed by search engines. It also means that making changes to the website’s design or templates is easy, and the content doesn’t need to be modified in the process. 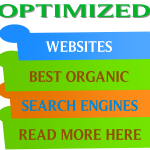 Read more about the advantages and disadvantages of online website builders. These systems are particularly suited to individuals, freelancers, photographers, small businesses and start-ups with or without a web store. Some website builders are entirely web-based and run on the provider’s server (e.g. Weebly or Jimdo). To work with these tools, all you need is a standard web browser such as Firefox or Internet Explorer. Other website builders come as software packages that you download and install on your computer (e.g. Rapidweaver). Both options have their own advantages and disadvantages. You can work on your website from anywhere (also great for team projects!). No need to worry about updating software or accessing FTP servers*. No need to purchase software. Many website builders offer packages that are completely free. You can still work on your website even if you’re offline. FTP server access* offers greater flexibility. 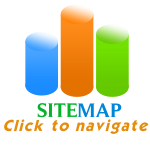 You are less dependent on your website builder service provider. With internet access becoming increasingly fast and reliable, browser-based (i.e. web-based) website builders are becoming more and more popular. That’s also the reason why we focus on web-based website tools in our reviews. FTP means you can access the web folders where your website is hosted directly. Which are the best providers? The demand for easy-to-use website builders has increased with the explosion of Web 2.0 platforms such as Facebook, Twitter and other social communities. This has enabled content consumers to become content creators too. Providers vary widely in the quality and functionality offered. Jimdo and Weebly are widely recognized as the best providers for beginners, while Squarespace is best suited to advanced users requiring more advanced features. If I use a website builder to create my website, do I “own” the design and content? You are the owner of your content: no website builder can claim any rights on things that you’ve created (copy, images, video etc.). You can also take it and move it to a different site builder or host anytime you want. The website’s design is a different matter. If you are using a template from the library of your website builder, you basically only rent the rights to use it as long as you use their services. If you move your website to a different host, you cannot continue to use their template, strictly speaking. But we haven’t heard of a single case where a website builder company claimed this right. This is all a completely new subject for me and I don’t know where to start. Can you help? For complete website newbies, we recommend our eBook “Website Creation for Absolute Beginners” which gives you a quick overview of the subject. The first websites were created in the early 1990s. These sites were manually written in HTML. Over time, software was created to help design web pages and by 1998 Dreamweaver had been established as the industry leader; however, some have criticized the quality of the code produced by such software as being overblown and reliant on tables. As the industry moved towards W3C standards, Dreamweaver and others were criticized for not being compliant. Compliance has improved over time, but many professionals still prefer to write optimized markup by hand. Open source tools were typically developed to the standards, and made fewer exceptions for the then dominant Internet Explorer's deviations from the standards. The W3C started Amaya in 1996 to showcase Web technologies in a fully featured Web client. This was to provide a framework that integrated lots of W3C technologies in a single, consistent environment. Amaya started as an HTML and CSS editor and now supports XML, XHTML, MathML, and SVG. Geocities was one of the first more modern website builders that didn't require any technical skills. Five years after its launch in 1994 Yahoo! purchased it for $3.6 billion. After becoming technically outdated it was shut down in April 2009. Sites are generally created using either HTML or Adobe Flash. Flash is a proprietary format which became a de facto standard format, once supported by all major browsers. However it has a diminishing popularity, since having been superseded by web standards (HTML5) and is no longer supported by major mobile operating systems iOS (Apple) and Android (Google). Flash is more resource intensive than HTML. 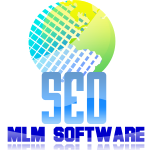 HTML tools are divided into those that allow editing of the source code and those that only have a WYSIWYG mode. Offline web builders cater to professional web designers who need to create pages for more than one client or web host. Modern offline web builders are usually both WYSIWYG and allow direct editing of source code and cascading style sheets (CSS) styling. They generally require at least a basic understanding of HTML and CSS. However, though they are more flexible than online builders, they are often expensive. However, some open source website builders may be downloaded free of charge or by "freemium" license model. affordable Website Builders, Website Builders auction, Website Builders bargain, best Website Builders, Website Builders best price, budget Website Builders, buy Website Builders, buy Website Builders online, buying Website Builders, cheap Website Builders, cheapest Website Builders, Website Builders clearance, Website Builders closeout, compare Website Builders, Website Builders complaints, Website Builders coupon, Website Builders coupon codes, Website Builders cost, deals for Website Builders, Website Builders discount, Website Builders discounted, Website Builders does it work, Website Builders for sale, Website Builders for sale online, Website Builders free trial, Website Builders free shipping, get cheap Website Builders, how much is Website Builders, inexpensive Website Builders, Website Builders in stores, low cost Website Builders, low price Website Builders, low priced Website Builders, new Website Builders, Website Builders on sale, original Website Builders, purchase Website Builders, Website Builders price, Website Builders price comparison, price comparisons for Website Builders, Website Builders promo code, reduced Website Builders, rent Website Builders, reasonable priced Website Builders, Website Builders retailers, Website Builders review, Website Builders reviews, Website Builders sale, Website Builders save, Website Builders specs, used Website Builders, Website Builders warranty, where can I buy Website Builders, where can you buy Website Builders, where to buy Website Builders, where to find Website Builders, who sells Website Builders, who sells the cheapest Website Builders, Website Builders wholesale. This entry was posted in Development, web design and tagged Website Builder by DWBM. Bookmark the permalink.